I fell in love with music anew! Maybe it's the Christmas Season that makes me emotional… More likely, this album is one of the biggest and best surprises that crossed my ears lately. 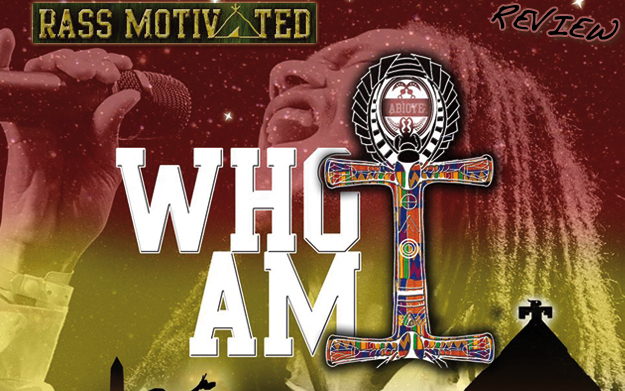 Who Am I is the first Studio Album of Sherandell Maynard a.k.a. Rass Motivated, an impressive young artist from Rotterdam in his early twenties. He seems to have adopted above quoted sentence as his personal motto in life and work – the 13 pieces of ear candy on this production are far from ordinary! Impressive too that this young man obviously doesn't need a ghost-writer to conceive of intelligent texts: all songs are written by himself (except for the feature parts), and by paying tribute to exceptional artists and leaders such as Beres Hammond, Glen Brown, Marcus Garvey and Raging Fyah in his lyrics, he manages to link the old to the new. In the capable hands of producer Andreas Lagaris, the musical contributions of Gillan Mijnals (Rhythm Guitar), Kenneth Sporkslede (Bass), Nikki Buzz (Guitar) and many others are woven together to form unique compositions that are a joy to discover. The trip starts with title track Who Am I, a reflective tune with minor chords and surprising sounds (is that an owl hooting?) as well as a seamless transition to the next song. Man A Wait comes to the rescue and lifts up the pensive mood with a joyful riddim and message. Consciousness: check! Upliftment: check! Danceability: check! There is not much missing to make a really good compilation, except maybe love, sweet love: Trick Me Lovely gives us exactly that and more, delivering a lover's rock anthem people will want to hear in the dancehalls as soon as possible. Speaking of: for People Out There, Mr. Motivated linked up with Joggo, who adds a tasty flow to the serious piece. Thirteen Rebel Music combines the celebration of Reggae and the current year (which in fact has seen an increase in awareness of the Revival Movement), while on the next song Rass masters the challenge of an a-capella-version. Snow Gone, as well as the other two vocals Sometimes and Marcus Garvey, is an authentic rendition of his vocal skills that have improved immensely compared to earlier works. After another feature (Fake Friend Alarm with KaliBwoy), we come back to that loving feeling with She Love Me. Here again, not only the singer's deliverance, but also the skilful arrangement of the music carries as much originality as beauty. Oh, and have you ever heard of a thing called hidden track? Whether or not you have, I advise you to let the last song Calling Out run after it seems to be over. Actually, I strongly advise you to treat yourself to this peace of audio art – you deserve it!